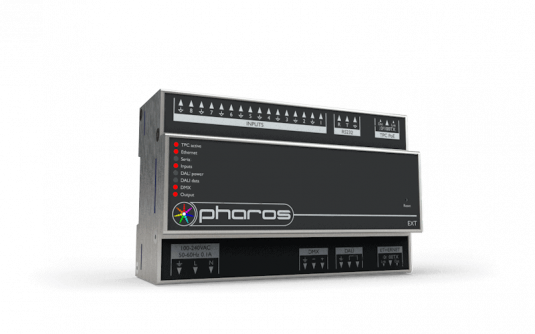 The EXT is an optional extension for a single Pharos TPC. 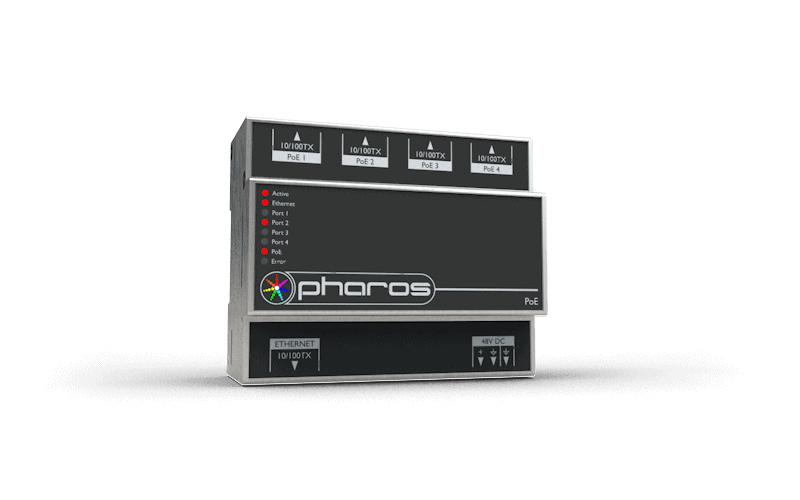 Together they can function as a standalone control system, or scale with other Pharos devices over a network. 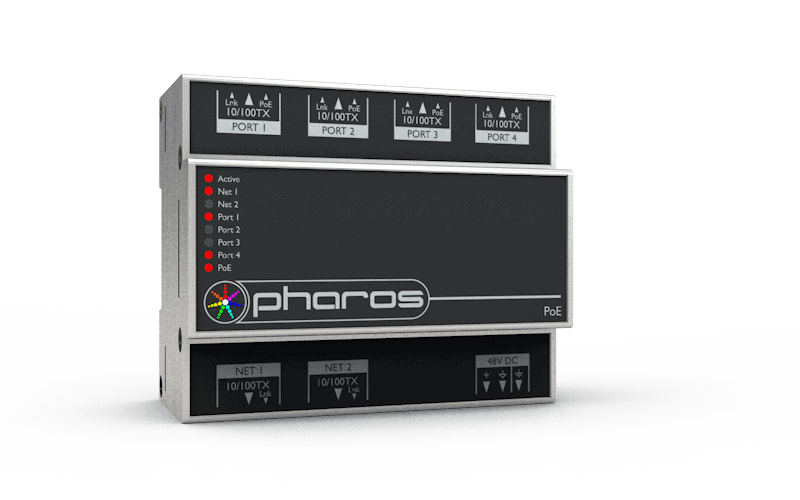 The EXT supplies power and data to the TPC via a single cable, and provides physical interfaces including both DMX and DALI. 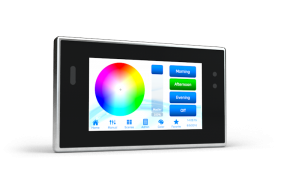 Control up to 64 DALI devices from the EXT, with support for commissioning with DALI discovery and configuration commands. 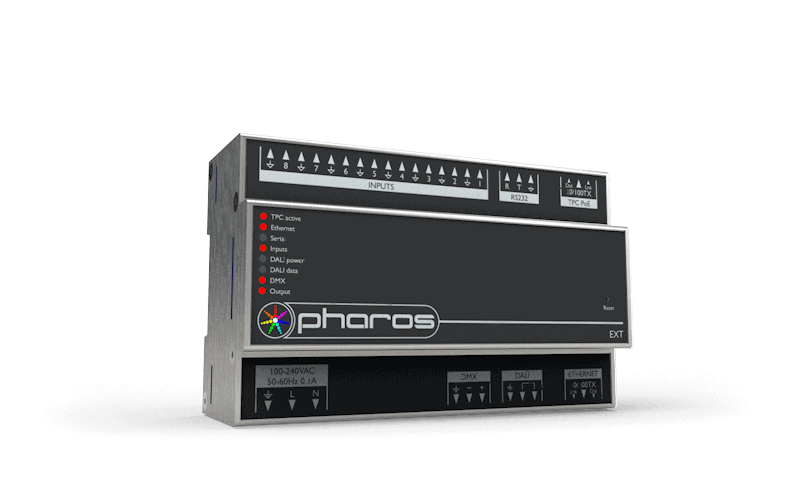 Pharos Designer includes a convenient drag-and-drop interface for DALI patching and timeline programming. DALI emergency ballasts are also supported with the ability to schedule automatic Function and Duration tests, automatic querying for battery level and lamp hours, and a full test result and error reporting web page. 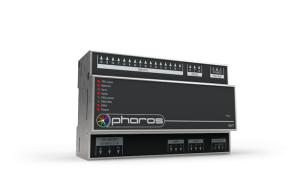 Each input is individually configurable in one of three modes. As a Contact Closure an external volt-free switch may be connected across the input. 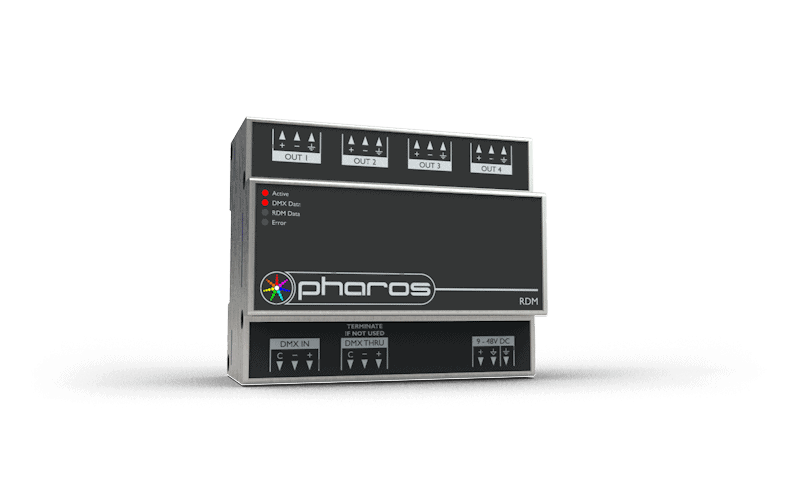 As a Digital Input an external voltage source (up to 24V) can be connected across the input and thresholds for ‘high’ and ‘low’ triggering can be set. 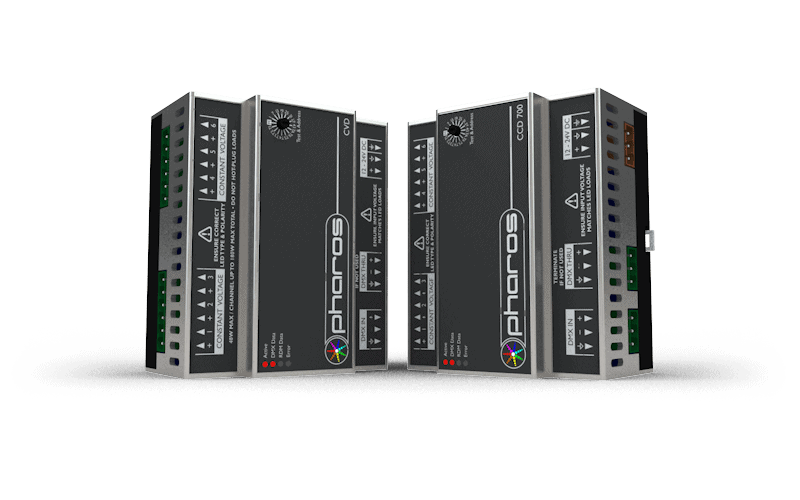 As an Analog Input a variable external voltage can be measured within a configurable range. The EXT has an RS232 serial port, whose data rate and format settings (baud, parity, stop bits, etc.) 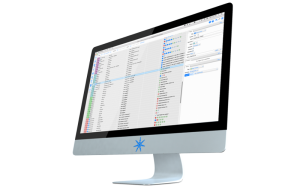 are configurable in software.